Malaysia and Singapore recently hosted a week-long succession of IP events. 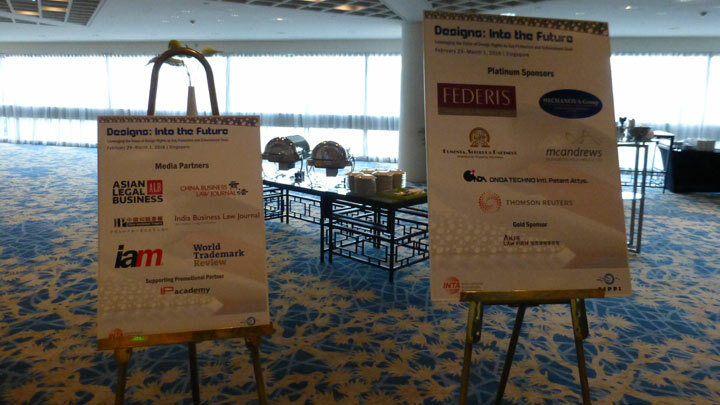 Firstly, bridging February and March was a two-day conference in Singapore entitled Designs: Into the Future. Jason Cheah, our Design Manager from the Malaysian office represented Henry Goh. Organized jointly by INTA and AIPPI, this unique conference brought together over 200 delegates to discuss diverse topics including prosecution practices especially from the viewpoint of in-house counsel, multinational litigation, the challenges of 3D printing and the protection of GUIs. It is rare for an international conference to be dedicated to designs. The holding of this event signifies the growing importance of design protection in the IP landscape, including in the fast-developing Asian consumer market. Participants were reminded that harmonization of design law and practice lags far behind that of trade marks and patents. International bodies such as INTA, AIPPI and WIPO can thus play a key role in sharing information and promoting harmonization efforts. 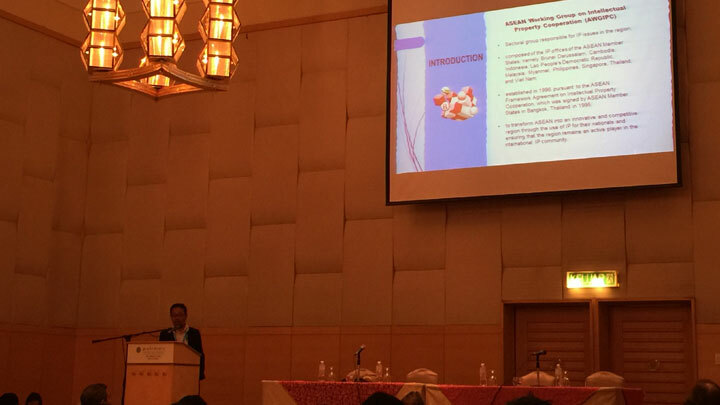 Back in Malaysia, on 03 March 2016 in Kuala Lumpur, AIPPI held its first ASEAN Regional Meeting. Dave A Wyatt, Head of Patents in our Malaysian office, represented Henry Goh. Intended to be an annual event from here on, the meeting focused on the key regional hot topics of economic integration under the ASEAN Economic Community that was formally established at the end of 2015, the impact of the Trans-Pacific Partnership Agreement on the four ASEAN countries that have so far signed up, and the efforts of the EPO and WIPO to further develop and strengthen the local IP system. With almost 150 registered attendees, this meeting provided for wide-ranging and stimulating discussions, both in the formal program and the various networking sessions. 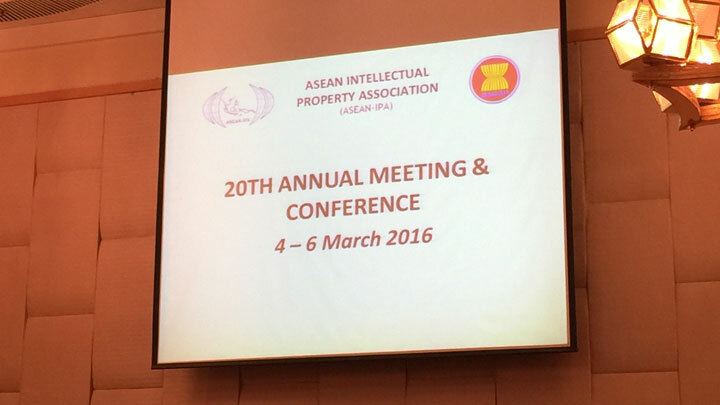 Many of the delegates at the AIPPI Meeting stayed on for the 20th Annual Meeting and Conference of the ASEAN Intellectual Property Association, held from 04-06 March 2016. Henry Goh was represented by Lim Eng Leong, Trade Mark Manager and Chew Qi-Guang, Patent Agent, both from the Malaysian office. With the theme: Looking Ahead – IP in ASEAN, this conference naturally focused on issues particularly affecting the ASEAN countries. It was announced by WIPO during the event, that Laos was to become the fifth member of ASEAN to join the Madrid Protocol. There was a sharing of experiences under Madrid by speakers from Singapore, the Philippines and Vietnam and the exploration of a possible mini-Madrid for ASEAN as a way to reduce the cost of entry for SMEs seeking trade mark protection across the region. Other topics included updates on proposed new IP laws in Myanmar and a review of how Indonesia protects genetic resources, traditional knowledge and cultural expressions. In addition to delegates from the ASEAN region, the conference had participants from Australia, China, Germany, India, Japan, Korea, Sri Lanka and the United States, among others. Henry Goh is represented at local and international conferences and seminars throughout the year. Do check our website’s News and Events page for details of upcoming events we are attending and who to contact for an appointment.